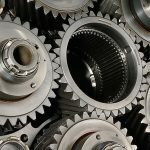 Low pressure carburizing and high pressure gas quenching have become a preferred technology for the latest generation of transmissions. Here’s why. 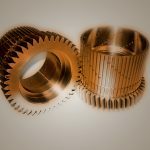 With the many advances that have taken place to improve quality in the gear industry, it is only logical that heat treat services would have to evolve to meet the increased demands of precision gear manufacturers. 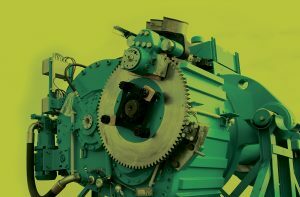 For decades gear manufacturers used atmosphere batch furnaces with integral oil quenches for the case hardening process. 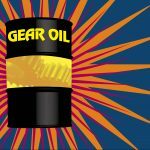 In recent years low pressure carburizing (LPC) and high pressure gas quenching (HPGQ) have become a preferred technology for fuel injection components and for the latest generation of transmissions, such as double clutch transmissions or 6/7/8 speed automatic transmissions. The manufacturers have the option to either heat treat in-house or to outsource the heat treatment. ALD vacuum technologies is offering both furnace equipment for in-house treatment, as well as service centers for the outsourcing of heat treatment. 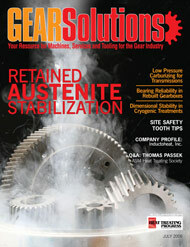 This paper discusses the pros and cons of outsourcing LPC heat treatment. It presents insights into the technology of the equipment, and into the LPC/HPGQ process. Finally, ways and means of how to assure quality of the treated parts are briefly described. LPC is a case hardening process that is performed in a pressure of only a few millibar in a protective atmosphere. In most applications acetylene is used as the carbon source. 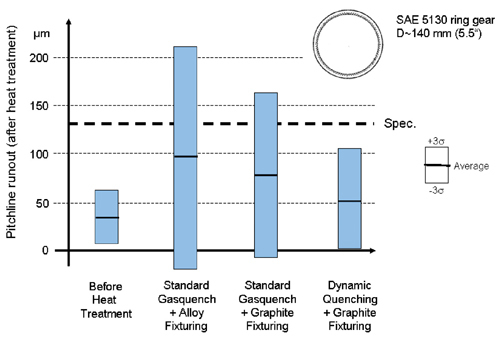 The advantages of LPC compared to conventional gas carburizing are: no intergranular oxidation and no surface decarburization; faster carburizing; and higher carburizing temperatures, leading to significantly shorter cycle times. LPC is usually combined with the HPGQ process, during which the load is quenched using an inert gas-stream instead of a liquid quenching media. Nitrogen or helium are usually used as quench gas. 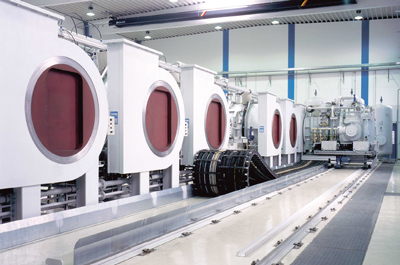 The benefits of HPGQ compared with liquid quench are numerous, including: reduced distortion in most applications; clean surfaces after heat treatment (even in blind holes); environmentally friendly, with no post washing of parts required; and heat treatment can be integrated into the production line. 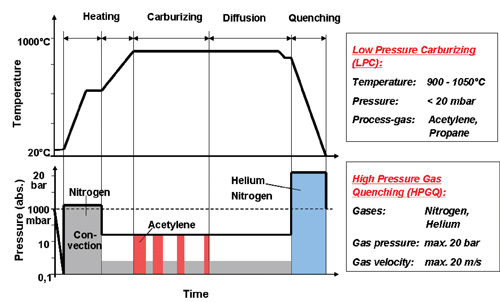 Figure 1 depicts a schematic overview of the LPC and HPGQ processes. Since the system is modular, the manufacturer can start with as few as two vacuum treatment chambers and expand up to 10 per system as volume dictates. When volume drops the equipment can be idled without affecting other units. Units taken offline can be kept under vacuum so they are ready to go when needed. Likewise, should maintenance be required, only the affected cells are taken offline and the production process continues . More than 30 ModulTherm systems comprising 150 treatment chambers have been commissioned worldwide. For the past 10 years ALD vacuum technologies has offered furnace equipment for in-house treatment, as well as global resource centers for the outsourcing of heat treatment. This business concept, introduced as “Own & Operate,” established a separate division within ALD. 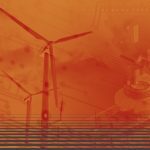 This division can provide contract heat treatment for the customer as a service provider, and the main focus of applications are the transmission and diesel fuel-injection industry. Thus the customer profits from the furnace manufacturer’s long-time heat treatment know-how and benefits from the previously described advantages of LPC and HPGQ without taking financial and technical risks. At the same time the furnace manufacturer profits from the service companies, as process experiences are reported back to him. 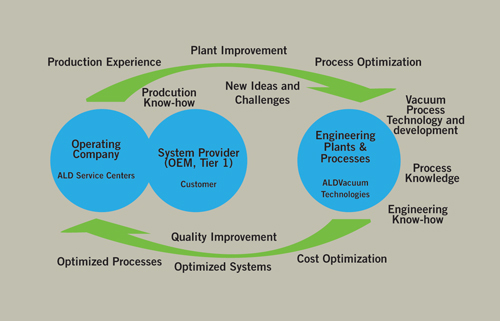 The continuous transfer of know-how from the furnace manufacturer to the O&O service companies leads to a steady improvement in productivity and quality, as well as reduced costs (see Figure 3). • External interface to heat treatment, therefore possible higher costs resulting from communication and documentation. 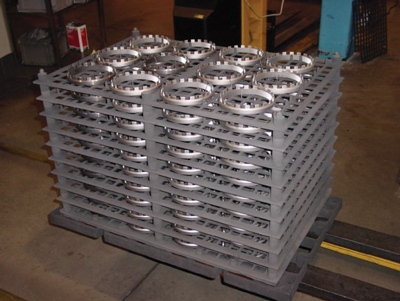 • Heat treatment costs are predictable, and generally at a fixed price. 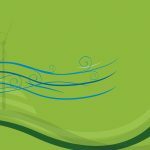 Each option should therefore be systematically analyzed to decide if the outsourcing of heat treatment is an advantage for all parties involved. 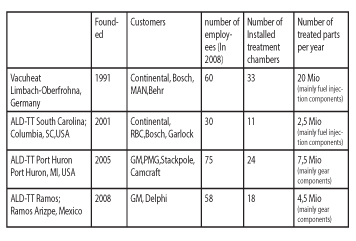 Currently ALD operates four Own & Operate facilities in the United States, Mexico, and Germany, as shown in Table 1. 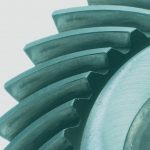 The analysis of two practical applications in a high volume environment are good case studies for the value of the contract services available: 1) internal ring gear of a six-speed transmission and; 2) nozzle for a diesel fuel injection system. The ring gear is manufactured from material 5130. It has an external diameter of 167 mm, a height of 28 mm, and 89 internal teeth. The heat treat specification is given in Table 2. 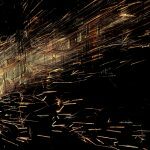 The specific challenge in the heat treat process was to reduce distortion in such a way that subsequent machining operations could be entirely eliminated. 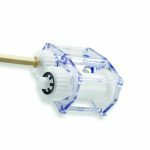 As a result of extensive development in the quenching process and the use of specialized CFC fixtures, it was possible to meet the design intent. Figure 4 depicts a lightweight fixture design that demonstrated significant stability at high temperatures. 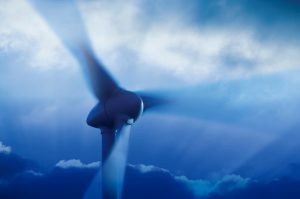 When compared to traditional alloy fixtures, the CFC demonstrated no deflection or distortion after many subsequent years of use. 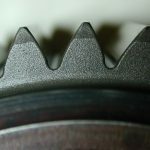 By using CFC fixturing it is guaranteed that all ring gears are always laying horizontally, which helps to reduce heat treatment distortion. 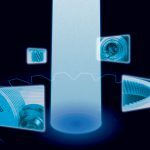 Furthermore, distortion values were significantly reduced through the use of “dynamic quenching,” where the quench intensity is varied to minimize distortion . Figure 5 shows the distortion values. The roundness of the ring gears in the green state already shows an average of 30 micrometers. 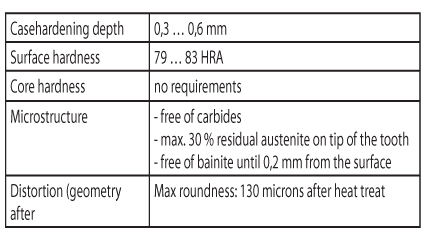 The roundness values after heat treatment on an alloy fixture using standard gas quenching were far beyond the specified requirement of 130 micrometers. The values improved considerably when the CFC fixture (graphite fixture) was used. However, only through the application of dynamic quenching and the use of the CFC fixture the specified roundness-values could be met . 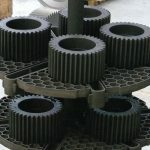 The internal ring gears have been in continuous production since 2006. After the incoming goods inspection the ring gears are cleaned in a spray washing machine, followed by LPC using acetylene and HPGQ using helium and dynamic quenching. After tempering, the metallurgical and geometrical quality is examined in the laboratory. This is followed by a deburring operation by means of shot blasting, and then followed by conservation with an antirust agent. The customer was able to achieve the design intent by eliminating all machining operations of the rings gears after LPC/HPGQ utilizing the special fixtures and quench methodology. 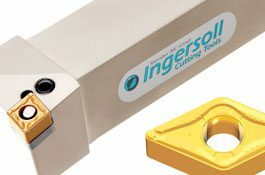 Subsequent testing and monitoring over a two-year period progressively demonstrated that conformance and quality inspection was reduced accordingly. The nozzle is made of 18CrNi8 material. 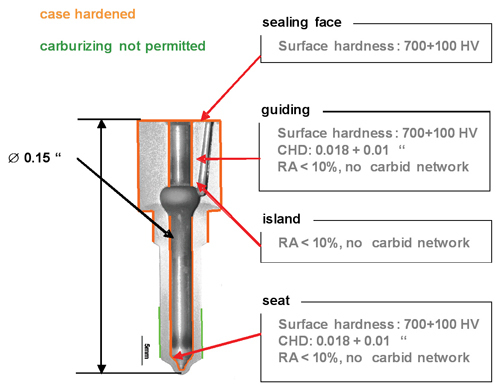 Figure 6 shows the specification of the nozzle after heat treatment. The special challenge during the case hardening of this nozzle is to guarantee homogeneous carburizing, despite the complex shape. The component requires tight control with carburizing evident in the blind hole, while at the same time partial over-carburizing must be prevented—in the area of the so-called “island,” for example. The nozzles are treated with LPC utilizing acetylene and gas quenched with nitrogen, and areas that do not require carburizing are covered. The components are austenitized twice and quenched twice to increase fatigue strength. This is followed by a deep freezing step at -100°C to transform any retained austenite into martensite and then followed by tempering. Figure 7 shows the measured hardening profile at various measuring points . The quality control of the Own & Operate facilities is based on an ERP system (Enterprise Resource Planning) with an integrated CAQ-system (Computer Assisted Quality Assurance), which logs all quality data. For each load a “production traveler” is printed, and this production traveler runs together with the load through all the operations. Bar codes for each operation are printed on the production traveler. The bar codes are scanned in each work center and the information is stored in the ERP system, indicating the time and the work center where the load was treated. Thus it is possible to retrace exactly when a load was washed, when and in which furnace it was heat treated, and whether a load was shot-blasted. Consequently, complete traceability of all process steps is assured. On request it is possible to equip the ModulTherm system with a digital camera. The camera is installed at the furnace entrance and takes photos of each load. These pictures are stored in a database in order to visually document the load setup of each batch. Furthermore, the plants are also equipped with an integrated process control called “process monitoring,” which monitors all relevant process parameters such as temperature, process gas flows, cycle times, etc. After the heat treat process, specific parts from each load are examined in the metallurgical laboratory. Parts which are especially prone to distortion can be geometrically inspected after heat treatment by a CNC measuring machine. All measured values from the laboratory are entered into the CAQ system. Upon entering the values, the software verifies whether the entered values meet the parts specification. If a value is out of specification, an error is logged, and the load is stopped and quarantined. Additionally, an internal complaint is created, in order to detect the root cause of the error and to initiate a counter measure. In addition to heat treatment plants for low pressure carburizing (LPC) and high pressure gas quenching (HPGQ), ALD Vacuum Technologies has been offering heat treatment services through their Own & Operate division for the past 10 years. 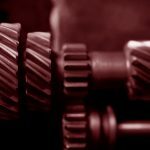 Once a gear manufacturer has decided to apply LPC and HPGQ he has the option to either invest in a heat treatment plant and to treat in-house, or to outsource heat treatment to a service provider. The advantages and disadvantages of outsourcing were discussed. Furthermore, the heat treatment technologies used in Own & Operate facilities were introduced using two examples. 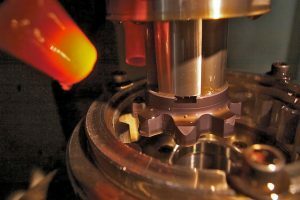 Since 2006 the use of CFC fixtures and the application of dynamic quenching have improved the case-harden process on an internal ring gear for a six-speed automatic transmission with minimum distortion, which makes subsequent machining operations unnecessary. 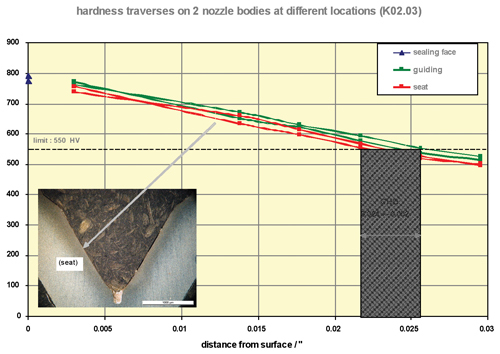 The second example showed the case hardening of a nozzle for a diesel injection system. The special challenge during the case hardening of this nozzle is to guarantee homogeneous carburizing, despite the complex shape of the part. Finally, the quality control system of the Own & Operate service companies was briefly introduced.